This tutorial explains how to install Dropbox in Ubuntu 18.04. Dropbox is a Cloud based file Sharing and file syncing service that allows you to store files in the cloud and share with other people. Using the Dropbox App you can sync files between your computer and the Cloud and access them from anywhere using your web browser or mobile phone. After the installation is complete, You can start Dropbox app from your applications menu. 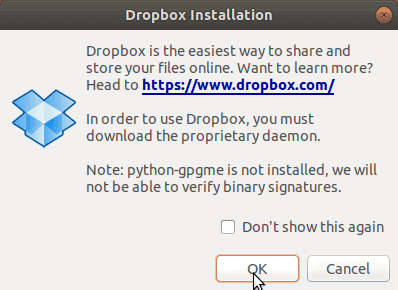 When you open Dropbox for the very first time, it will ask you to download the proprietary daemon. 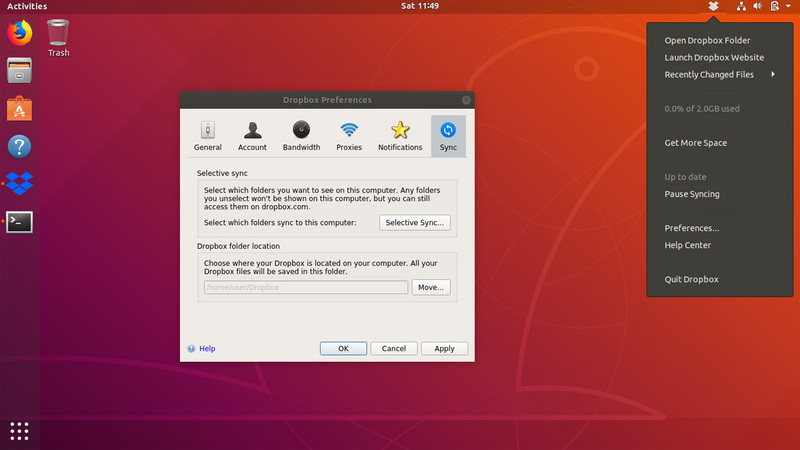 Click OK to download and install the proprietary daemon for Ubuntu. 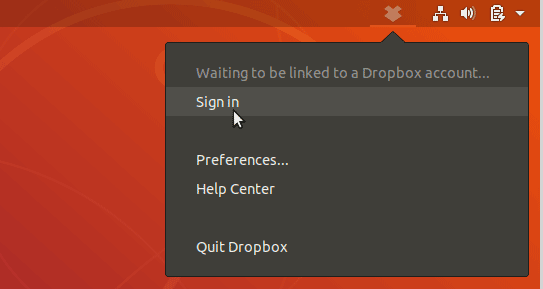 After the process is complete, you will see the Dropbox icon on the top right hand corner of the Ubuntu desktop. Click on the Dropbox icon and select Sign in. You will be redirected to the Sign in page where you can log in to your Dropbox cloud account. After you signed in, your computer will linked with your cloud account. Inside your home directory, there will be a new folder called Dropbox, This folder will be synchronized with your cloud account. If you want to change the Local folder, Go to Preferences > Sync and change the DropBox folder location. Dropbox is an incredibly easy to use file syncing tool for your Ubuntu 18.04 desktop. Dropbox allows you to store files in cloud storage and sync to a special folder on your local computer or mobile device using the Client software that available for many platforms including Window, Linux, Android and Mac.